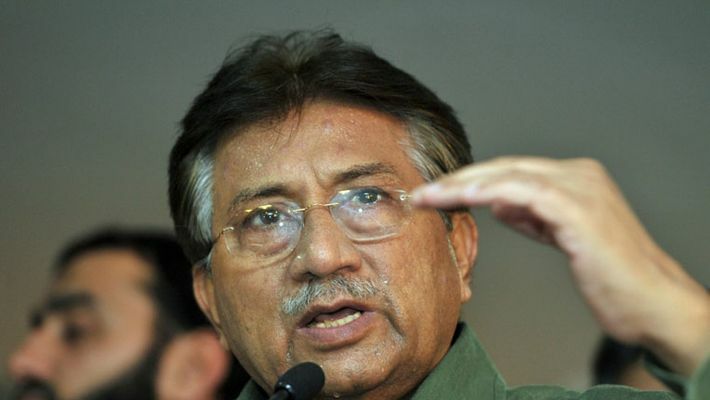 Pervez Musharraf, while talking to a Pakistani TV channel, said that there is a deep connection between the Jaish-e-Mohammed and Pakistan's intelligence agency. Islamabad: On Tuesday, the Pakistani government banned Hafiz Saeed's organization Jamaat-e-Dawa and Falah-e-Insaniyat. As a step further on Wednesday, the Pakistan government seized several properties related to the organization of Hafiz Saeed. Meanwhile, former Pakistan President Pervez Musharraf has made a sensational disclosure. Pervez Musharraf, while talking to a Pakistani TV channel, said that there is a deep connection between the Jaish-e-Mohammed and Pakistan's intelligence agency. With the help of the ISI, Jaish had made bombs in many areas of India. After the Air Strike in Balakot which is being considered as a surgical strike-2, there was tremendous pressure on Pakistan to take action against terrorist organizations. Nadeem Malik was asked why he didn't take any action against Jaish-e-Mohammed despite being so powerful. Pervez Musharraf responded to this by saying that the atmosphere in his time was very different, by saying so he meant that during that time, bomb blasts were carried out in Pakistan by India. But he did not have the answer to the question why he could not stop the Jaish. After Nadeem Malik was abducted, he said that he used to tell ISI to put a ban on Jaish but they did not believe in doing so. After the pressure of the international community, there was no other option except to put Hafiz Saeed's organization Jamat-e-Dawa and Falah-e-Insariyat in the list of banned organizations in front of Pakistan. At the same time, Pakistan's agencies have detained 44 terrorists of Jaish for interrogation.